Red’s Eats in Wiscasset, Maine; Clam Bar at Napeague out in the Hamptons; or Harvey Cedars Clam Bar on Long Beach Island? ?A few tables, a cold beer, a little sun in your eyes? It’s summer on a half shell. Unfortunately, we don’t have any clam shacks quite like that around here. But a few local places do have great fish, especially the fried kind (mmmm). Between that, a space for outdoor — maybe even waterfront — seating, and plenty of good weather ahead of us this month, we can come pretty darn close to replicating the experience. After the jump, a few of our favorites places to try. OK so Gilligan’s on the Hudson isn’t exactly on the Hudson — the street gets between you and the river — but it’s close. The water is within view, and with wood tables, big windows and a mural on the wall of palm trees shadowing an orange and red tropical sunset, we can bet you’ll get in a beachy mood soon enough. 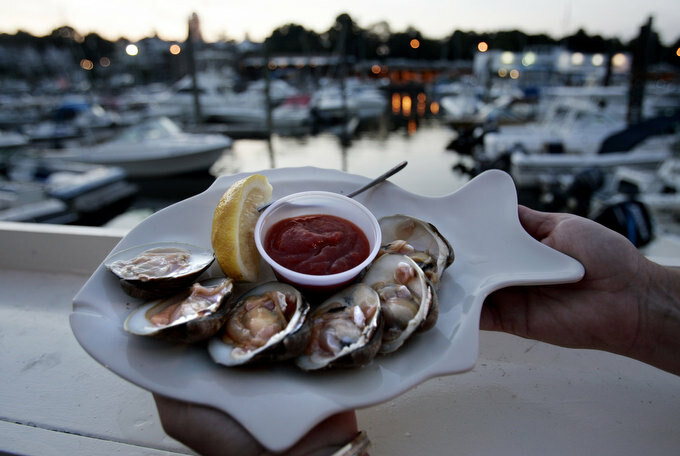 Plus, Gil DiMola — the owner of this Gilligan’s, the one in Pomona and C&M?Seafood in Pomona — has been sourcing his clams from a digger on the North Shore of Long Island for as long as he can remember, so you know you’re in for a treat. 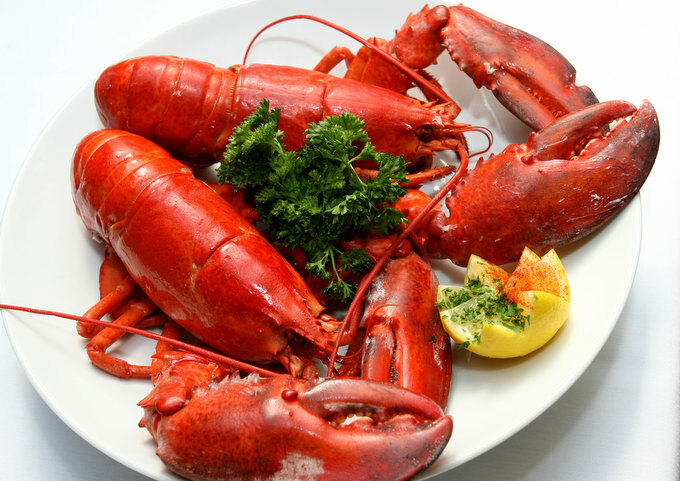 We recommend:?Lobster quesadillas, lobster bowls (with clams, mussels and other fish), tuna and fried fish any way you want it:?scallops, oysters, shrimp and fried Ipswich clams. Don’t miss the clams on the half shell, either. Go:?10 Grassy Point Road, Stony Point. 845-942-3966. With sunny peach walls and potted palms, Gilligan’s is decorated more like Miami’s South Beach than a New England clam shack, but that makes it a fun, summery destination that appeals to everyone. Plus, the service is friendly and attentive with plenty of enthusiasm. And with a fish market — C&M?Seafood — attached, you know you’re getting fresh fish. 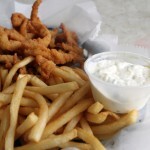 We love that the fried clams are made from bellies, not strips. 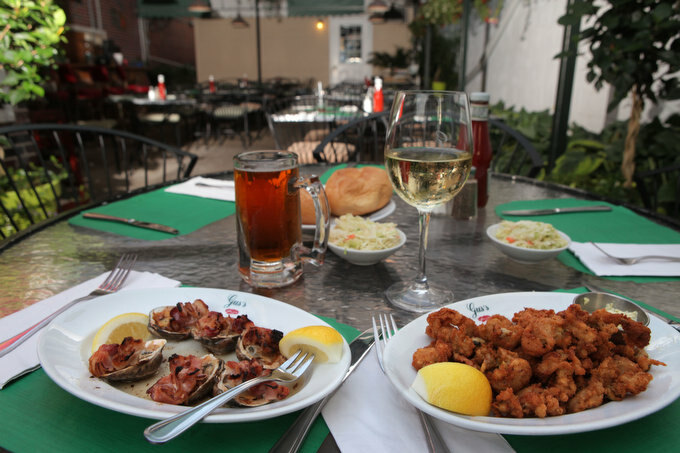 We recommend: Fried clams, calamari, shrimp, scallop, lobster and oysters and clams by the dozen. Go:?Route 202 and Route 45, Pomona. 845-354-1161. 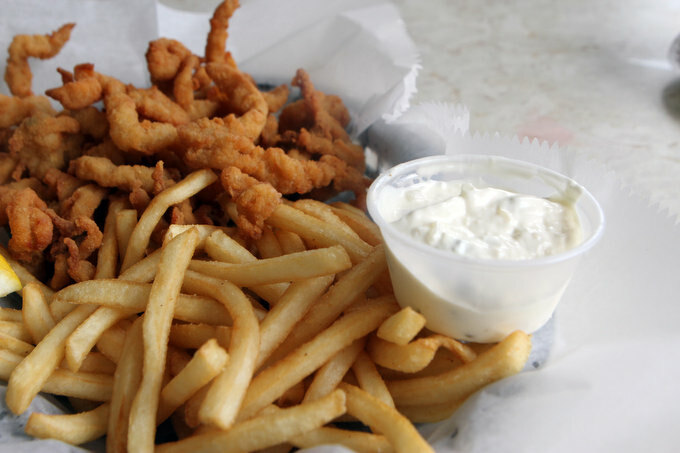 We recommend:?Clams on the half shell, clam strips, fish and chips and the Bargeburger, a bacon cheeseburger with fried onions, fried pickles, lettuce, tomato, raw onion and mayo. Go:?94 Hudson Park Road, New Rochelle. 914-235-4445. Yes, we know Stew’s is a grocery store. ?But when you can get a 1 1/4-pound lobster dinner for $15.99, we think it’s worth mentioning, even in an article ostensibly about clam shacks. Besides, at the Hoedown, the cafe outside the grocery store, you can also get a fried shrimp or a lobster roll (also at a nice price:?$9.98). Enjoy those meals — or burgers or pizza and the like — at picnic tables with red-checked cloths, and overlook the rest of the shopping center down the valley below. ?You’ll feel smug knowing you’re shopping’s done, and you won’t even have to cook for the kids. We recommend:?The lobster, fries and a drink. Shrimp basket dinner. Go:?1 Stew Leonard Drive, Yonkers. 914-375-4700. Here are a couple of funny things about Leno’s, the blue-and-white roadside stand with a view of the?gas station on?Pelham Road. Number one, nobody calls it that. Everyone calls it Greasy Nick’s, which was a nickname for the original owner, who was, we’re told, quite dirty and greasy. Number two — Pat Leno, left, the current owner, whose family has had the place since 1950, is a cousin to the more famous Leno, Jay, who was born in New Rochelle. Pretty cool, huh?? One not-so-funny thing? ?The food is darn good. You order your clams — or clam strips or even oniony cheeseburgers, along with a nice cob of corn — at the counter, and then take your food to one of the roadside picnic tables. Wash it down with a cold can of Piels, and you’re in clam-shack heaven. We recommend: Clam strips, lightly battered, crisp and delicate. Soft-shell crab sandwiches, when they’re in season. Go:?755 Pelham Road, New Rochelle. No phone. Expansive views of the Long Island Sound, a genuine thatched-roof bar and fruity drinks with umbrellas say tiki bar rather than clam shack, but with a tropical vibe and fried food on the menu, we think it’s definitely worth a trip. 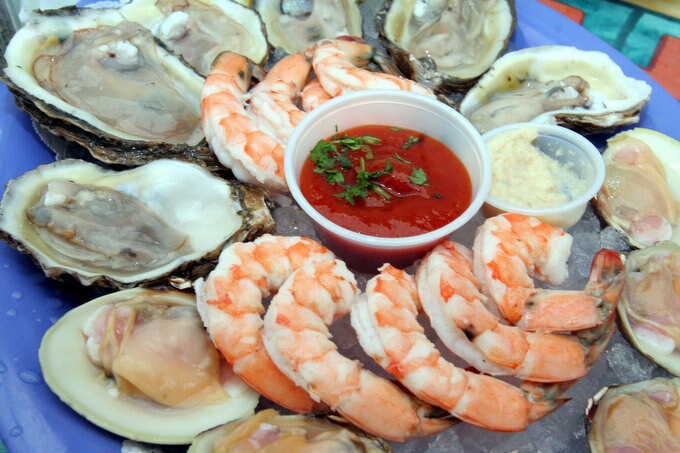 Plus, there is a raw bar with littlenecks, cherrystones, Blue Point oysters and Old Bay peel ’n’ eat shrimp. We recommend: Coconut shrimp, popcorn shrimp, fried clam strips, fish?and chips. Go: 1 Playland Parkway, Rye. 914-967-1020. 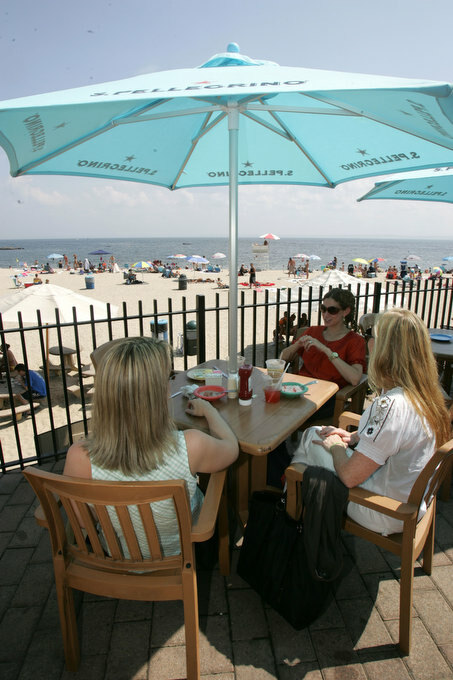 This casual seafood restaurant in the Spanish Colonial-style Oakland Beach Pavilion, which was built in 1909, has some of the best views in Westchester:?a sandy, crescent-shaped beach and the Long Island?Sound beyond. 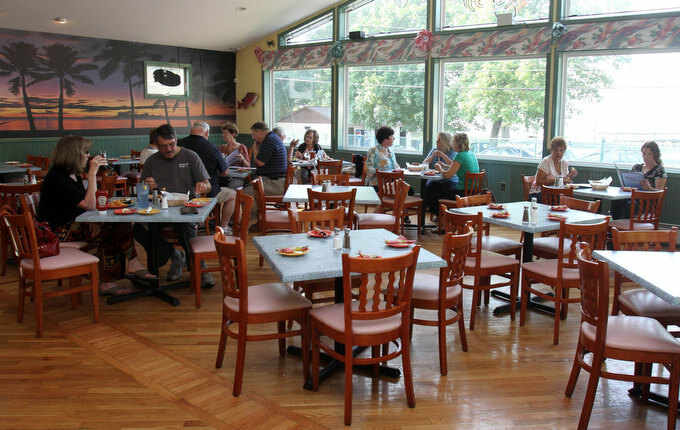 No mere clam shack, Seaside Johnnies is a full-service restaurant serving everything from lobster and shrimp dishes to barbecue ribs and chicken parmigiana. But if you’re going for the clam shack-attack, we say that the fried clams, popcorn shrimp and calamari should be on the agenda. We recommend:?Jumbo shrimp, fish and chips, fried clams, popcorn shrimp. Go:?94 Dearborn Ave., Rye. 914-921-6104. In a big tent in the parking lot behind Cornetta’s, you can get a great order of steamed little neck clams. The semi-permanent tent is actually Cornetta’s outdoor seating, and even though, like many waterfront places around here, it’s in a parking lot, the view is still magical:?marina, Tappan Zee bridge, and on the right night, a full moon shining over the Hudson?River. The menu also includes fried shrimp, scallops, calamari and a nice flounder — or get the fisherman’s platter, which has all of them. We recommend:?Steamed clams, fried clams, fried flounder. Go:?641 Piermont Ave., Piermont. 845-359-0410. 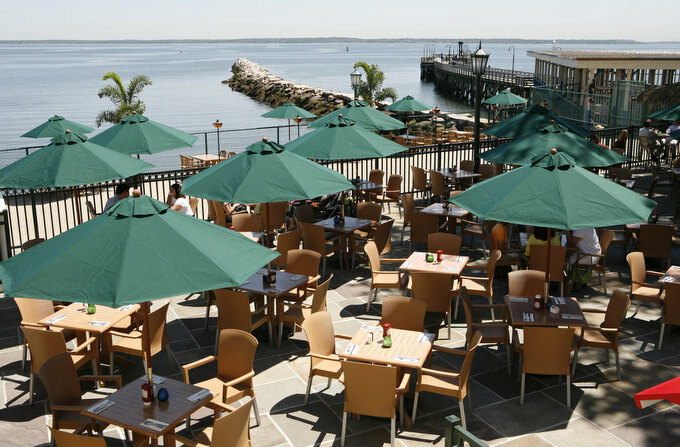 At first glance, Striped Bass looks too fancy to be a clam bar — especially after last year’s spiffy renovation, which introduced a new grey-and-teal color scheme and a big tropical aquarium, But the view — whether from inside or outside on the patio — can’t be beat. You’re right on the banks of the Hudson, so close you can see boats bobbing in the adjacent marina. It’s a great place to order the raw bar: top neck clams, Blue Point oysters or peel-and-eat shrimp? (or a platter of all, plus lobster for $26 or $44). We recommend: Raw bar, chowders, soups, steamed lobster. 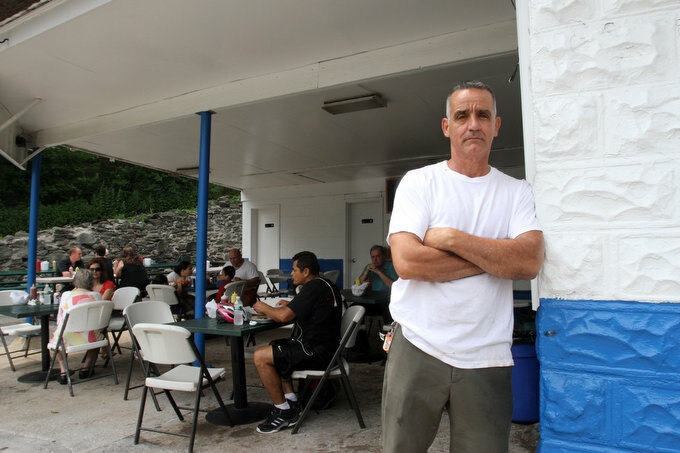 Around since before the 1930s — and named Gus’s Franklin Park Restaurant ever since 1935. The interior is very much what you might expect: Wood-paneled walls, simple tables, green paper placemats. And with the restaurant’s own seafood market right next door, you should know to also expect super-fresh fish. But step behind the market, and a whole new world opens: an outdoor patio with 10 glass-topped, wrought iron tables — set with green placemats and all. There’s also a big wooden bar with six seats, hanging plants, and the brick wall of the building next door. Feels like a clam shack to us! And the menu conforms: clams and oysters on the half shell, Maine steamers, beer-battered oysters, baked clams and Cajun popcorn shrimp, just to name the appetizers. 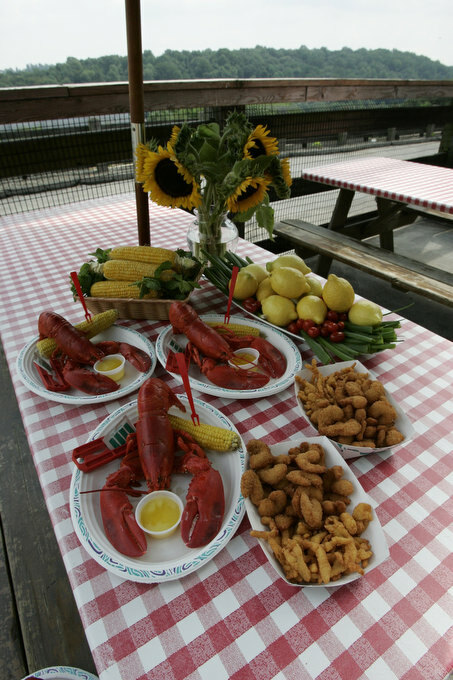 For a main course, you can also get a fried (or broiled) seafood platter, twin lobster tails or fish and chips. Mary Tinelli, a bartender who’s been at Gus’s for almost 12 years, says she hopes everyone leaves “with a smile and a full stomach.”?We don’t think that’ll be a problem. 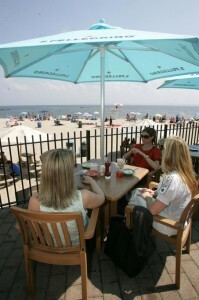 We recommend: Twin lobster tails, lobster rolls, fried clams, clams on the half shell. A recent renovation turned this right-on-the-river spot all around — so now you can see the Hudson from just about any seat in the house. The bar area — which used to be the main, more formal dining room, which you enter from Burd Street — is surrounded by tables: some as you first enter; deep, private booths to the left; a few tables on the river side. 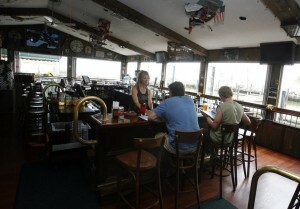 The dockside room, which used to include the bar, still feels as clam-shack-y as ever. 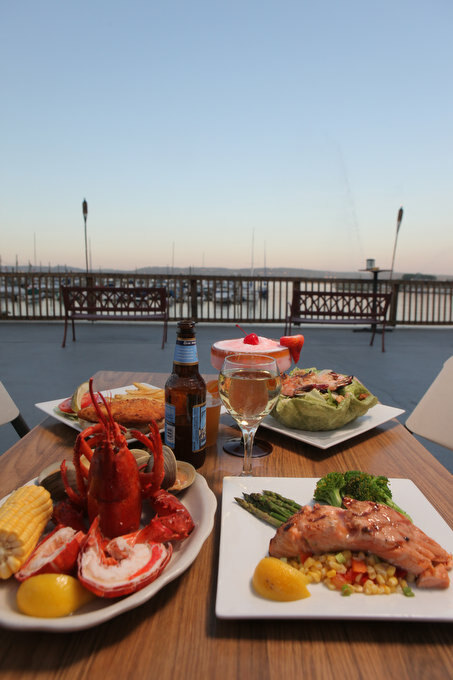 With a nice breeze coming in from the river, you’ll want to settle in for a plate of fish and chips, or pop a few popcorn shrimp in your mouth. You can get clams, too, though they’re served together with mussels and sautéed in tomatoes, garlic and beer. We recommend:?Popcorn shrimp, fish and chips, crab cakes, fried calamari and the Black and Tan Burger, served with Guinness onions on marble rye bread with stout cheese. 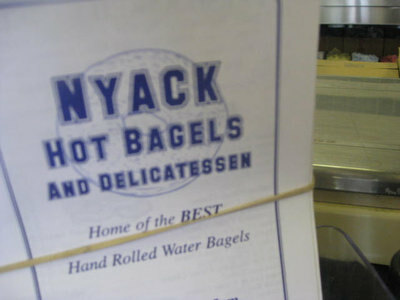 Go:?11 Burd St., Nyack. 845-358-0220, nyackriverclub.net. With a line of red oars criss-crossing the dining-room ceiling in the shape of the hull of a ship and a white marble bar in the front room, this is a fish shack in fancy dress. And the seafood — from raw bar oysters and shrimp to fish tacos to whole branzino — is exceptionally fresh. The decor is all white with a wavy blue photo mural, and there’s an outdoor patio where you can just see the Hudson across the parking lot. 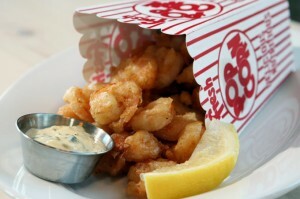 Fried-wise, you can get oyster po’boy sliders, calamari and fish and chips, but we especially love the spicy popcorn shrimp, which come in — you guessed it — a cardboard popcorn box, just like you used to get at the movies. We recommend:?Spicy popcorn shrimp, raw bar, fish and chips. Go:?1 Bridge St., Irvington. 914-231-7854. A bistro and bar near the Hudson River, but not exactly on it (there’s a parking lot between you and the river). There are purple walls, a stained cement floor and nautical items everywhere. 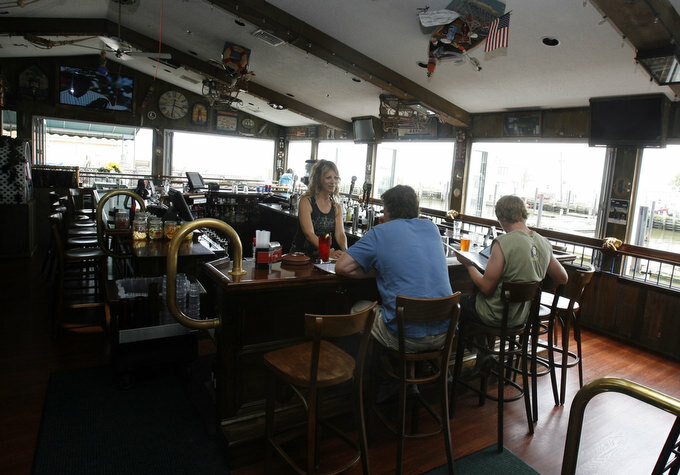 Clam shack fans:?Don’t miss the mermaid on the ladies room door and the leaning bar, made from swim platforms taken from the backs of boats. The menu is simple food done right: burgers, salads, chicken, and salmon. But as for clams? 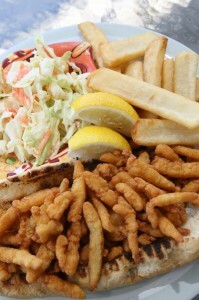 ?Try the clam po’boy:?clam strips piled high in a roll served with fries and cole slaw. We promise, these are not greasy. ?They’re nice and crunchy, and sort of remind us of the old Howard Johnson’s clam strips — in a good way! 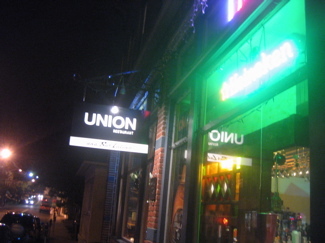 We recommend:?Fried calamari, clam po boy, coconut shrimp. Go:?46 Westerly Road, Ossining. (If you’re using GPS to find the restaurant, enter 800 Westerly Road for more precise directions.) 914-923-6466. Terrific summary. Thanks so much. We have been on the lobster roll taste test. If you are in Rowayton in the marina next to “The Restaurant” the fish store makes the best one as it contains tail meat too and all fresh not frozen meat. Great article! It’s been waaayyy too long since the last time i ate some lobster.